A rugged 4 -spiral construction stocked 300 psi, these assemblies can tackle the job that only a jackhammer can dish out. The EPDM tube and cover handles heat, ozone and weather cracking better than other compounds. These hoses are assembled at the factory crimped w/ universal (Chicago, CP) fittings each end. 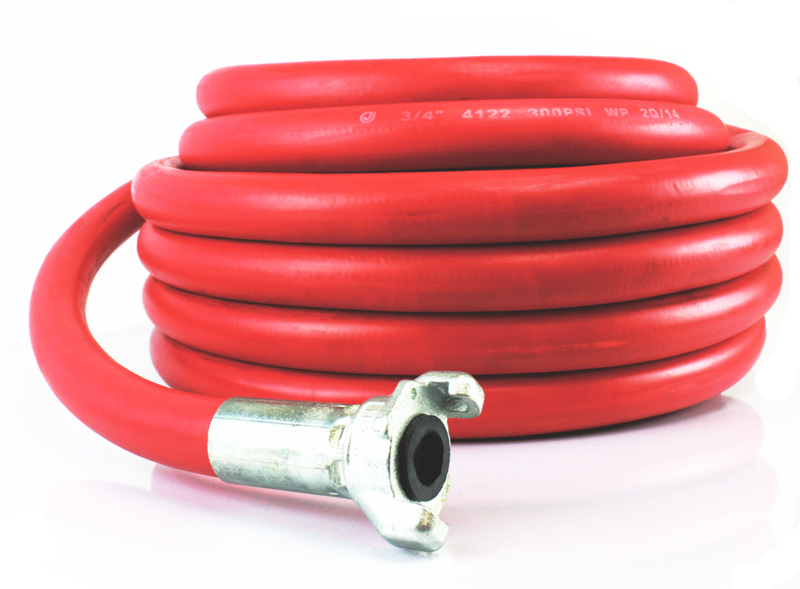 Durability is built-in and this hose is ready for hard work.